A Fujifilm Singapore photographer, Father and Educator who lives to photograph Life's moments. 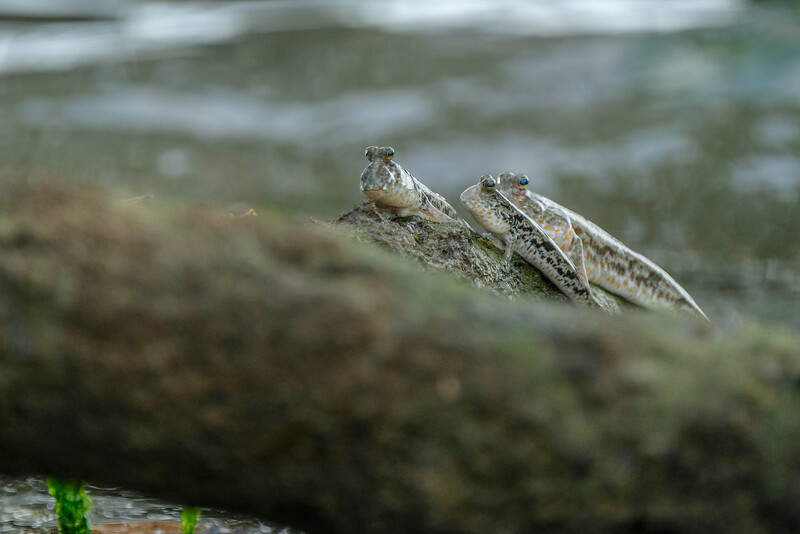 Walking through the diversity of Singapore’s nature reserves and areas with Fujifilm (part 2) – the Gold-spotted mudskipper. This is Part 2 out of a total of 4 parts and Part 1 is here. Hi all, to continue with the sharing on photographing wildlife in Singapore’s nature reserves and areas, here’s one catering specifically to a family of mudskippers that a companion and me came across at Pasir Ris beach. 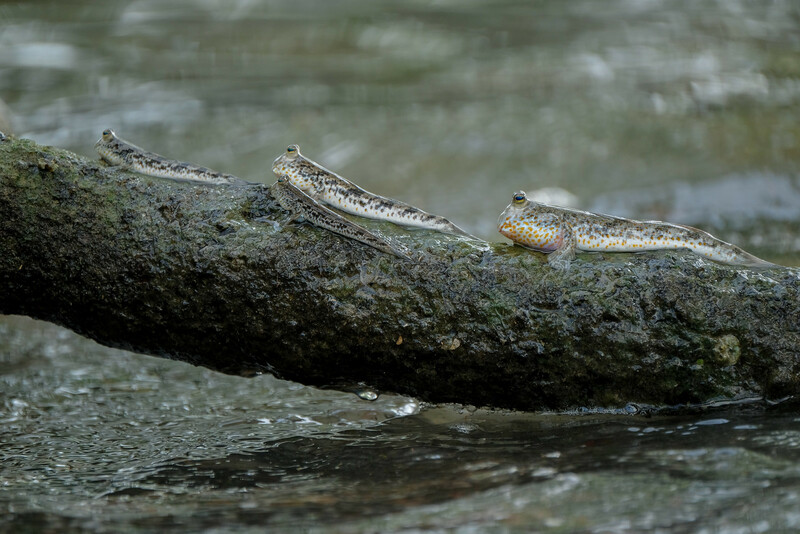 What was interesting was the behavior of them as a community, in fact prior to noticing them up close, I had always thought of mudskippers as well ….. 😅 slimy irritating creatures without any semblance of community structure or any logical behavioural traits. The mudskippers we came across are known as the Gold-spotted mudskipper (Periophthalmus chrysospilos) and this fish (yes, they are considered fish) with golden spots is commonly seen on many of our shores. It tends to move around following the water line, once a while in amusing ‘herds’, and this day, we saw a herd of them gingerly approaching the incoming tide, with the larger ones guiding the smaller guides and taking the lead. The nicest part was the smaller ones would never move towards the tide unless the larger ones guided them to, and smaller ones were seen to be snuggling close to the elders. Most interestingly to me was the mudskippers are smart enough to know structure and they were move in a line, following what seems to be the leader at the beach we were at, even to the parts where they were taking shelter from the tide. 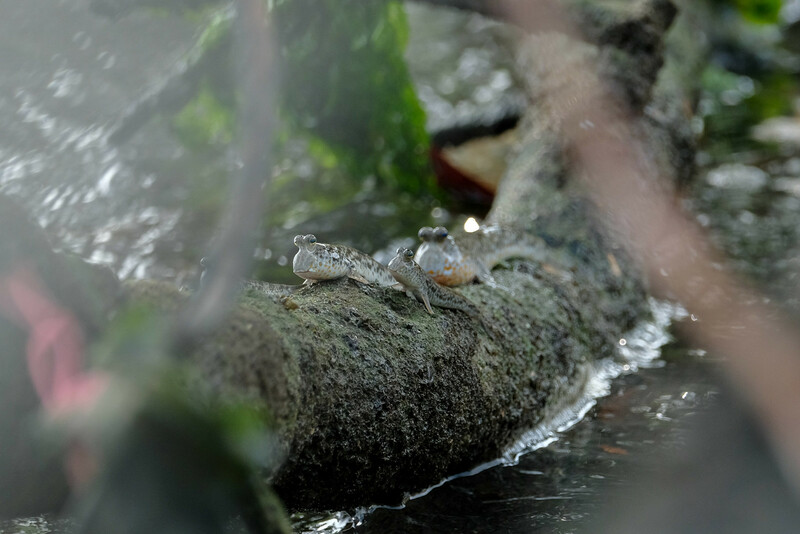 Here, a quad of mudskipper actually took up positions in a straight line on a broken branch to wait out the incoming tide. The smallest of the 4 was also seen quickly moving towards a larger one in a bid to snuggle up to safety. Here, the ‘leader’ of the trio took its position to view the tide, the sidekicks maintained composure and patience waiting for the cue to move on. Closer to humans and beings with consciousness than I ever thought? Yes. And most interesting is how much one can learn from just observing and paying more attention to the wildlife easily available around us, apart from one dimensional textbooks. A question to ponder on is have you taken notice to what’s close around you before moving further away to find photography subject material? Previous PostMusings: A bad day can happen to anyone. Next PostOur Traditions. Dead, Dying or Still holding on? Pingback: #16. Walking through the diversity of Singapore’s nature reserves and areas with Fujifilm (part 3) – Sungei Buloh Wetlands Reserve – Keith Wee. Pingback: #17. Walking through the diversity of Singapore’s nature areas with Fujifilm (part 4) – Is Fujifilm capable of photographing wildlife? – Keith Wee.